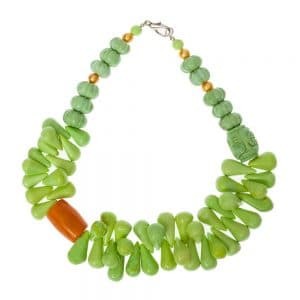 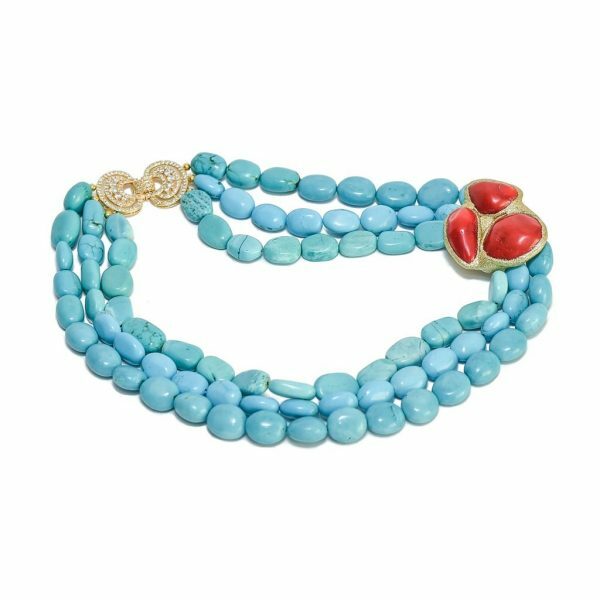 Very beautiful necklace by Hong Bock./ the details of arranged bamboo corals on this 3 row necklace (magnesite turquoise) make for a fresh and striking look. 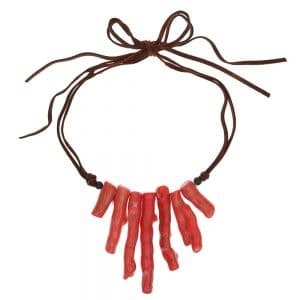 This oval beads about 13x15mm with red bamboo coral combination chain ca.60cm long. 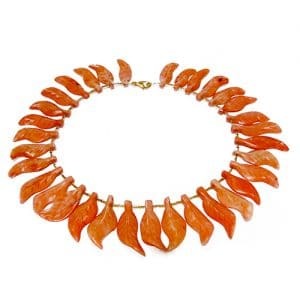 Wear this necklace to set admiration accents. 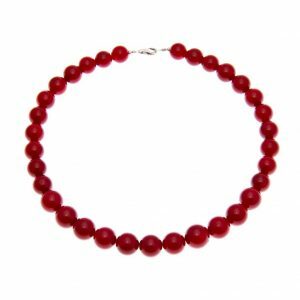 Chain clasp is gold rhodium plated.